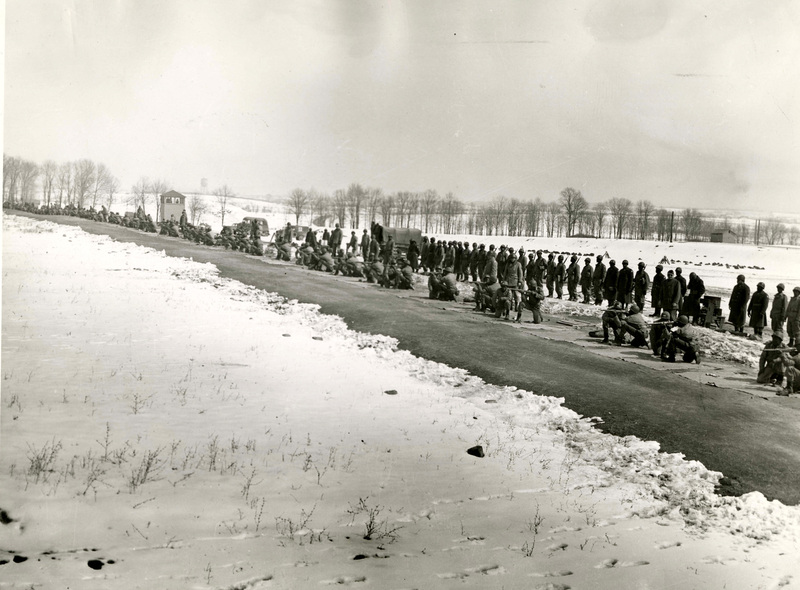 Troops training for duty overseas practice on the Indiantown Gap rifle range, circa 1942. Flip to Inductees arriving at the New Cumberland Army Reception Center, circa 1942. Pennsylvania was home to 40 important military and naval installations during WWII. After the federal government nationalized it in 1940, Indiantown Gap Military Reservation, the peacetime home of the Pennsylvania National Guard, underwent a vast construction program. Camp Reynolds, in western PA, was the other large camp in the state.